Wren Baker has a difficult family life-- her brother Russell is on the Autism spectrum, and her mother is down so often that she can't even make dinner. Her cousin and aunt have recently moved to town, but Silver is a popular cheerleader and won't give Wren the time of day at school. 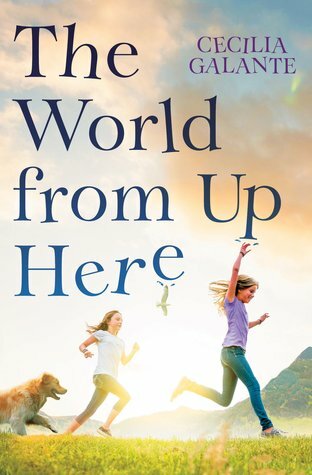 When Wren's mother must be hospitalized for her depression in Ohio, her father goes there as well, and Russell and Wren must stay at Silver's house. Russell settles in surprisingly well, and Wren learns that Silver is very different at home than she is at school. The two develop an interest in Witch Weatherly, who reportedly lives far up the mountain near their Pennsylvania town. The two manage to work around the objections of Silver's mother and make it up the mountain to interview her. Of course, Silver is injured on the way up, but the two learn secrets that tie into Wren's mother's anxieties, and come to appreciate Bedelia Weatherly in a new way. Weaknesses: At 320 pages, this is too long. There's a lot of information that could have been removed that would have perked the story up considerably. While the mystery of Witch Weatherly intertwining with Wren's mother is kind of interesting, the flashbacks to the slow mental decline is depressing and dull. What I really think: The cover is so nondescript that it won't circulate well, especially given the length. If I had endless money to buy everything, I might get a copy, but will have to pass.